A French security company known for its Mac OS X antivirus software today released the first malware-scanning app for the iPhone and iPad and iPod Touch. Intego’s VirusBarrier for iOS has been approved by Apple, and debuted on the App Store Tuesday for $2.99. Because iOS prevents the program from accessing the file system or conducting automatic or scheduled scans — as do virtually all Mac and Windows antivirus software — VirusBarrier must be manually engaged, and then scans only file attachments and files on remote servers, said Peter James, a spokesman for Intego. The scanning engine and signatures — the digital “fingerprints” used to detect malware — in VirusBarrier for iOS are identical to those used by Intego’s Mac OS X product line. VirusBarrier for iOS lets iPhone and iPad users run on-demand scans of email attachments before those files are opened or forwarded. VirusBarrier for iOS can be downloaded to an iPhone, iPad or iPod Touch from Apple’s App Store. It requires iOS 4.0 or later. GreenSQL team is ready to present new version of GreenSQL. GreenSQL intercept SQL commands being sent to MySQL, checks them, and then either halts the query or passes it on to MySQL proper. Then it returns the query results to the calling application. Currently only MySQL database is supported. This release includes a new version of firewall and a management application. This is a major application release geared towards application stability, ease of use, performance increase and elimination of bugs. This release includes a number of pre-build packages of popular operating systems. Supply packages for CentOS, Fedora, Mandriva, Red Hat, openSUSE, Ubuntu, and Debian. 2. Fixed a number of bugs related to networking connectivity. 3. Extended support for specific MySQL SQL commands. ZoneAlarm is probably the most well-known of firewalls, partly because it’s free for personal use, but also because it’s effective and very simple to use. This latest version now works with Windows Vista. 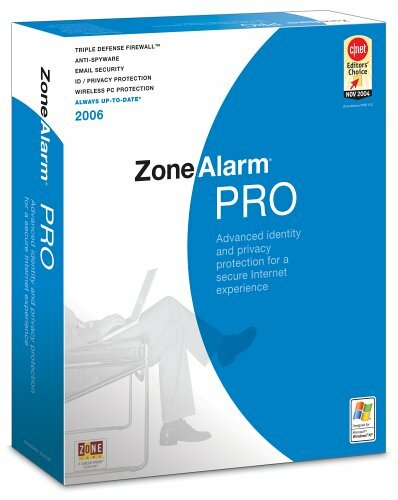 The download is a small utility that is used to select the correct version of ZoneAlarm for with Vista or Windows XP and 2000. Its main appeal stems from the fact that you can install it and forget about it, yet be securely protected from outside intrusions or attacks. Wizards make the installation as painless as possible, and ZoneAlarm will remember your preferences once specified. When in Stealth Mode, ZoneAlarm renders your PC invisible on the internet, increasing your security and privacy. This is the latest ZoneAlarm 8 Free which will offer you basic firewall protection. Note that this is the basic and free version. It will download to your computer as a ’stub’ and ask you if you want to install the the Free version or the Trial version of the ZoneAlarm Security Suite. ZoneAlarm Firewall protects your sensitive personal and financial data from hacker attacks. It keeps your private information safe from the outside world, and can even track the source of intrusion attempts and map their whereabouts instantly, without exposing your identity or location. For iron-clad firewall protection, choose ZoneAlarm. 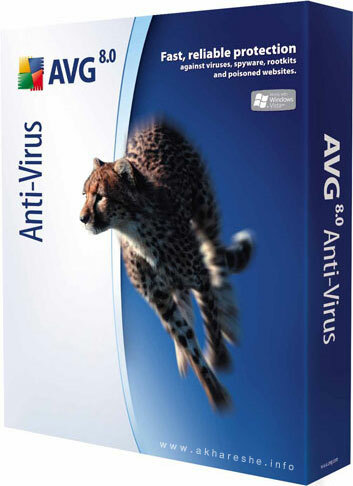 The best Windows protection – trusted by millions of users AVG’s award-winning antivirus technology protects millions of users and is certified by major antivirus testing organizations (VB100%, ICSA, West Coast Labs Checkmark).